Efficient, fast & reliable products? Why not! Easy-to-use ready mixes for film coating. Tailor-made & ready-to-use. Finding the right film coating for your solid dosage form is not easy. But not impossible. Together we can select the coating that exactly matches your product. 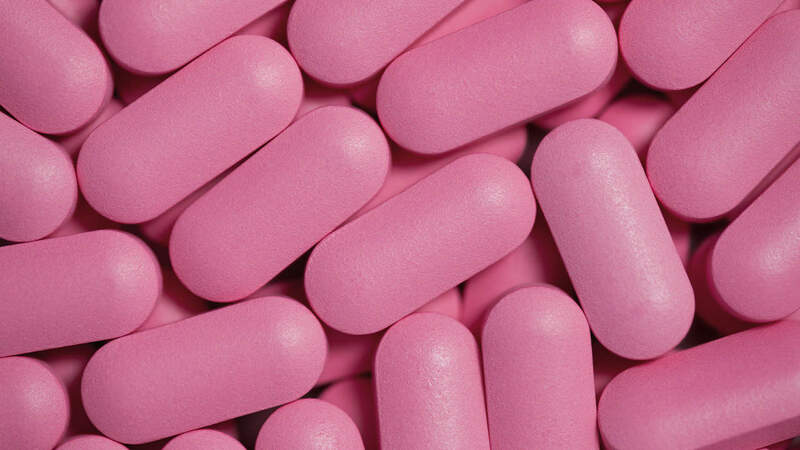 Our portfolio covers all commercially available film coatings for all dosage forms (such as tablets, mini tablets, hard/soft gelatine capsules, dragees, pellets, granules, particles). Tailor-made and ready-to-use systems for pharmaceutical products and nutritional supplements. Ready-to-use, dry powdered compounds (polymers, plasticizers and pigments homogeneously milled and deagglomerated) of the highest quality. Clear, white or coloured formulations. Colour adjustment takes place according to your wishes. Ready-for-use within 45 min. Easily soluble in water or organic solvents. Batch-to-batch consistency. Guaranteed high quality and reproducible coating results. Go green! Go natural! Clean Labelling is gaining more and more importance in the industry. Consumers and customers are paying increasing attention to the list of ingredients. Therefore, the industry is constantly looking for new excipients and ingredients to ensure consumer-friendly labelling. Bio-certified and natural formulation that supports your clean-label strategy (e.g. non-GMO, non-allergen, EU organic food label). The clear film coating gives your product more brilliance. For better swallowability of the tablet. Improves the packaging process (better slip, less dust). Enhances the appearance of supplements (shiny surface). Suitable for dietary supplements such as extracts, vitamins or minerals. HPMC-based film coating for fast-dissolving tablets. Reliable protection for tablet cores. Improves the appearance of the tablet surface. Customized colours that enhance your brand identity. With or without synthetic dyes and iron oxides. Light stable, natural colours possible. Give your product a high aesthetic value! The shiny coating with mineral pearlescent pigments (Candurin®) is a guaranteed eye-catcher when it comes to glossy tablet surfaces. The pearlescent colours are characterized by excellent stability. The gold, silver, interference, bronze and red shades can be combined with other pigments and dyes to form your individual and unique film coating. Bitter flavours naturally protect humans from substances that can cause harm. But some bitter drugs are good for our bodies. In order to be as tasteless as possible, an effective flavour enhancement strategy is needed. Masks bitter and unpleasant tasting active ingredients (e. g. caffeine, herbal extracts). In addition, the formulation may contain flavours and sweeteners. The smooth tablet surface provides a pleasant mouthfeel and facilitates the ability to swallow. Masks bad and strong smelling active ingredients (e. g. herbal extracts). The smooth tablet surface provides a pleasant mouthfeel and facilitates the ability to swallow.The smooth tablet surface provides a pleasant mouthfeel and facilitates the ability to swallow. The modified starch-based AquaPolish® STA is an excellent solution for solid oral dosage forms where hypromellose (HPMC) reacts with the drug or tablet core (e. g. green tea extracts). High spray rate. The modified starch allows a solids content of 20-25% in the suspension. Fast process. The low process temperatures at which the film coating can be processed simplify and shorten the process. Aesthetics. The starch contained in the formulation automatically gives the film coating a light shine. Protection. Achieves a small moisture barrier. Additionally protects encapsulated active substances and additives from harmful environmental influences such as oxygen, light and moisture. Provides the shell of the microcapsule with an additional film. For the production of multi-layer capsules. Application can be done by spray drying or fluid bed technology. Immediate release film coating with moisture barrier effect to prevent solid dosage forms from taking up humidity. For a smooth tablet surface and a cost efficient manufacturing process. Protecting moisture-sensitive substances from environmental influences is one of the biggest challenges in the pharmaceutical and nutritional supplements industry. The coating of the tablet core, therefore, plays an important role in achieving an adequate moisture barrier. It improves tablet stability and provides protection to prevent drug degradation and prolong shelf life. Tablet cores with highly hygroscopic agents such as extracts or solid dosage forms that are marketed in countries with high humidity must be protected from moisture. The selection of raw materials for the formulation of AquaPolish® MS is tailored to the respective active ingredient and the requirements of the customer. Combination of polyvinyl alcohol and, optionally hydroxypropyl cellulose (HPC), which provides an excellent moisture barrier for oral dosage forms. Very good adhesion properties for a variety of different tablet cores. Customized formula for easy and uncomplicated processing. Use of pH-controlled polymethacrylate copolymers provides disintegration protection against gastric acidity. The solubility of the film coating begins at a pH of > 5.5 and thus dissolves in the intestine. Offers additional protection against environmental influences such as light, oxygen and moisture. Suitable for tablets, capsules, pellets and granules. The natural shellac-based film coating system also offers good odour / taste masking and is recommended for coating natural extracts, fatty oils and substances with bad taste and odour. The ready-to-use powder mixture is easily soluble in water. The use of solvents is superfluous. The system forms a strong, soluble film coating with sustained release and good adhesion, through which the active ingredient diffuses gradually. The combination of high-quality, insoluble cellulose ethers or ammonium-methacrylate copolymer (Type A, Type B) with soluble cellulose ethers, plasticizers and pigments guarantees consistently reproducible film coatings. Wide range of release profiles through variations in the type and amount of cellulose ethers used. Especially suitable for granulates and pellets. Easily soluble powder mixture in organic solvents. Do you have your own coating formula that you produce yourself? This production step can be outsourced to us and we will exclusively produce your formula as a ready-to-use film coating. Your benefit? Time saving in several process steps (e.g. in purchasing, in quality assurance, in storage, weighing, etc.). Liquid ready-to-use film coating formulation that is already dispersed in water or organic solvent. For an efficient production process and faster preparation times.